On November 12 through 14, Eugene Lang College The New School for Liberal Arts hosted an international conference titled, “The Internet as Playground and Factory ,” exploring the meaning and changing face of labor in the digital era. The conference inaugurates Lang College’s new conference series, “The Politics of Digital Media.” Schedule. Video interviews with participants are available . Video of some of the sessions is below. In Feb. 2007 members of the NYC Council Committee on Technology in Government Committee introduced Resolution 712, calling on the federal government to pass net neutrality legislation, an unlikely prospect at the time. Now, with fresh faces in Washington, the FCC has taken up the cause, establishing the six principles of net neutrality. A new bill H.R. 3458 aka the ‘Internet Freedom Preservation Act of 2009’ was introduced in Congress, and is currently before the House Committee on Energy and Commerce. For their part, Republicans have come up with two opposing bills. The NYC Resolution has, in recognition of this, been appropriately amended as Res. No. 712-A, and a hearing was scheduled for November 20 at City Hall. The FCC has made a request for public comment on this matter and the Committee on Technology in Government will draw from the hearing’s testimonies to draft a letter that includes citywide input. Capture of the live video webcast is below. Twitter feed http://www.twitter.com/nycctechcomm| tag #reso712A. 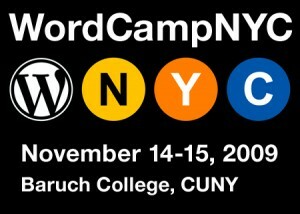 WordCamp NYC 2009 – took place at Baruch College on Nov 14-15 – a 2-day extravaganza of presentations, workshops, and demos relating to the popular WordPress web publishing platform (as used by ISOC-NY!). Audio/video will be added below as it becomes available. Proposals will be sealed and for a 5 year term with two 5 year renewal options. They must be submitted by 3pm on Nov 12 2009. Questions may be submitted to Vito Pulito at acco@doitt.nyc.gov. (212-788-6285) until 3pm on Oct 19, 2009. 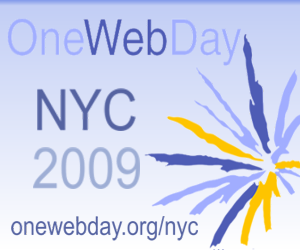 Below is video of the NYC Council Committee on Technology’s hearing on Jun 29 2009 regarding proposed Int. 991, Open Data Standards. ICANN has produced a revised version of its gTLD Applicants Handbook. Many alterations/additions have been made in provisions for “community-based” and “geographic name” applicants that will be of particular interest to potential applicants for a .nyc TLD. In particular details of ‘comparative evaluation’ procedures for competing applications are enumerated, as are the processes for individual or community based objections to applications. Initial application fees will be $185,100. Notably, those repeating applications from the 2000 round will get a $86,000 discount. An edited version of some relevant provisions is below. – a symposium that marks the quarter-centennial of the sundering of Ma Bell. Below is video of last week’s public hearing on the proposal to webcast NYC City Council and other municipal meetings. It was informative with first, representatives of the NYC Department of Information Technology and Telecommunications (DoITT) giving the official line, and then, two presentations by commercial vendors. After which Common Cause, the Peoples Production House, and others spoke on behalf of the public interest. City Hall – On Wednesday, October 29, 2008, Council Member Gale A. Brewer (D-Manhattan), Chair of the Technology in Government Committee, will hold a hearing regarding Introduction 533-A which amends the City Charter to require that all public meetings be webcast. The Council Technology in Government Committee will hold the hearing regarding webcasting on Wednesday, October 29, 2008 at 10 AM in the 14th Floor Hearing Room of 250 Broadway, New York. This is a public meeting and all are welcome to attend. Photo id required. ISOC-NY is not having it’s regular monthly meeting this month. However there will be two working group meetings. 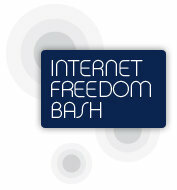 On Thursday Oct 23 freepress are holding the 1st Annual Internet Freedom BashÂ at the Maritime Hotel. Three sessions have been held thus far. It needs to be transcribed in English, so that it can be translated to other languages. Volunteers? well worth reviewing as the issues continue to reverberate. If you believe that every Internet user should have the right to freedom of speech without gatekeepers; if you believe that every person should have access to fast, affordable, open Internet then join hosts Kathryn Tucker, John Johnson and Tim Wu at Free Press’s 1st Annual Internet Freedom Bash. Eat, drink, dance, and join others like you who care about the future of the Internet and the future of our media. Time:	7:00 – 10:30 p.m.
RSVP By Wednesday, October 22, 2008 at 5:00 p.m.